Preheat the oven to 180’. Using an electric mixture; cream the butter and icing sugar until light and fluffy. Add the sifted flour and cornflour over the butter mixture. Mix everything together until a soft dough forms. Roll 1/2 teaspoon of dough into balls and place them on the tray. Using a fork dipped in flour, flatten the biscuits slightly and giving them an indent. Bake at 180’ for 12 - 15 minutes, or until lightly golden around the edges. 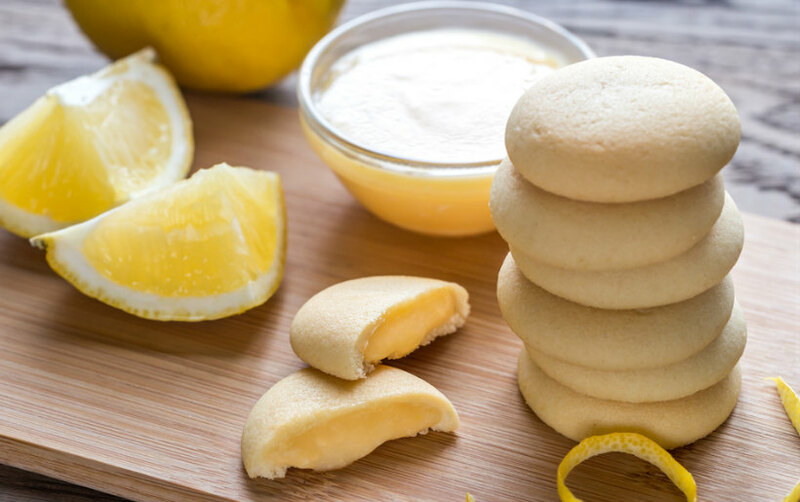 Assemble the melting moments by spooning and spreading the lemon curd on the bottom of half the biscuits and sandwich together with the remaining biscuits. Place them on a tray and drizzle melted chocolate lavishly on top of the sandwiched cookies. Allow the melting moments to set in the fridge for 30 minutes. Once ready to serve; dust them with icing sugar.